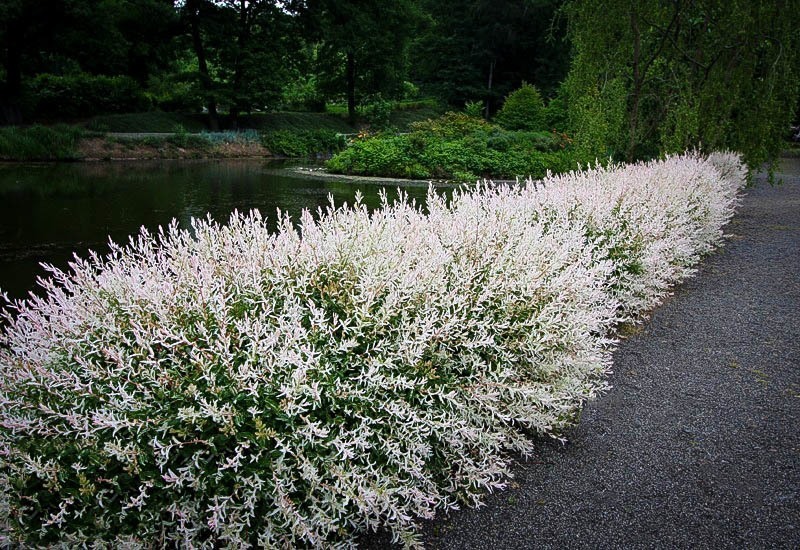 Pink springs followed by white-green summers are yours with the introduction of the Tri Color Willow into your garden landscape! 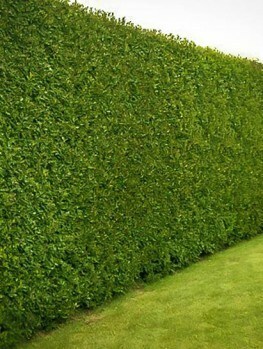 This privacy hedge offers ornamental beauty. In spring, the weeping limbs of the Tri Color Willow will display pink tinted new growth, catching the eye of every passerby. As the spring fades to summer, so too will the pink fade to greenish-white. 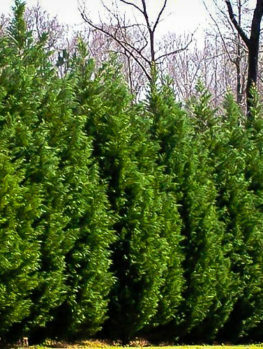 This deciduous shrub is often planted by gardeners and landscapes as a privacy screen, since its height and width do much to create a unique windscreen. The Tri Color Willow is also planted as an accent plant since its unique shape and color draw the attention of all. The Tri Color Willow cannot fail to delight with its fast growth, either. 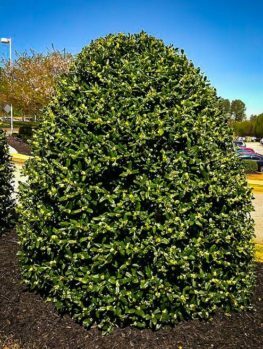 Expect this shrub to create a full hedge or large garden filler in just a few short seasons! 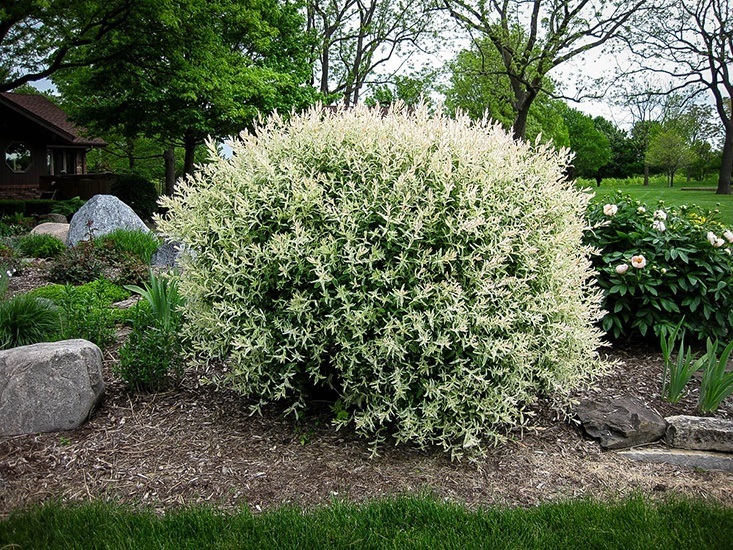 The Tri Color Willow is best known as a privacy tree, though its unique color and shape also make it an attractive ornamental shrub. 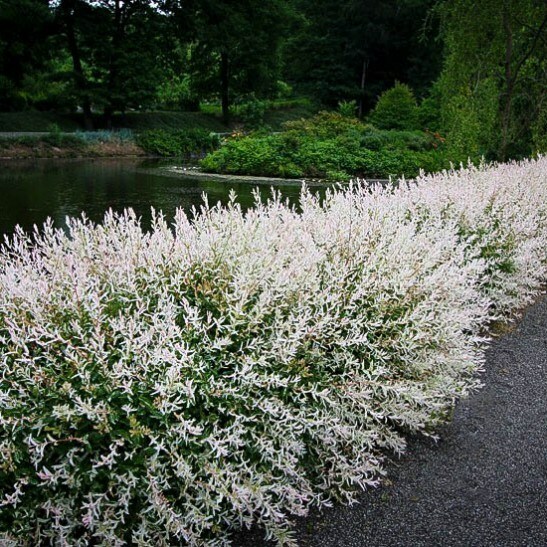 When grown as a privacy hedge, the Tri Color Willow succeeds because of its fast growth and width. 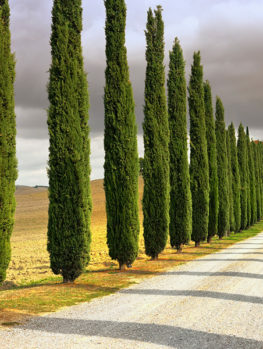 Whereas many other privacy trees only reach a few feet wide, meaning more of them have to be planted, the rounded Tri Color Willow stretches outwards just as much as stretches upwards – between 8 and 10 feet! Some gardeners also choose to plant the Tri Color Willow as an individual accent plant. Unlike many evergreen shrubs, the deciduous quality of this Willow make an interesting and unique plant. Its seasonal changes also attract attention throughout the year. The Tri Color Willow is so-named because of its changing colors. Pink tinted new growth changes to white-tinted green growth in summer, finally settling into red twigs to add garden zest in winter. Plant one today! The Tri Color Willow carries the fast-growing characteristic of much of its Salix genus and will experience between 3 and 5 feet of growth a year. Expect fast-growth, and this Willow will quickly reach its 8-10 foot mature height in a few short seasons. This is one of the qualities that make it excellent for privacy screens. What makes the Tri Color Willow a unique privacy screen plant? There are many privacy trees available at The Tree Center, yet the Tri Color Willow is special because it is different from many other privacy options. The Willow is a deciduous tree, meaning seasonal changes will affect its appearance. This is what gives the Tri Color Willow its unique color and change. In spring, the new growth of the Tri Color Willow is pink-tinted, offering a unique springtime show. In summer, the leaves turn a light whitish-green that contrasts beautifully with the dark greens of other growth. In fall and winter, the leaves turn yellow, falling, and revealing bright red twigs that add even winter seasonal interest. The Tri Color Willow is also easy to grow. Although pruning this Willow is not needed, many first-time gardeners choose to prune. 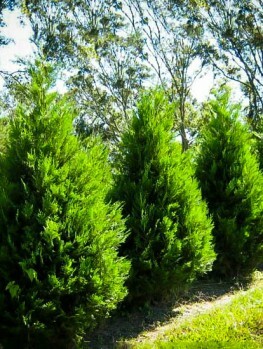 The hardy tree can have up to 1/3 of its branches cut with minimal effect on the root system and next-season growth. The Tri Color Willow is also relatively hardy. Even though it prefers moderate to heavy watering, the Tri Color Willow can survive mild droughts. This Willow tree can also survive short cold spells, making it a great shrub and privacy hedge for many northern regions of the United States. When the Tri Color Willow reaches maturity, it will be between 8 and 10 feet tall and between 8 and 10 feet wide. 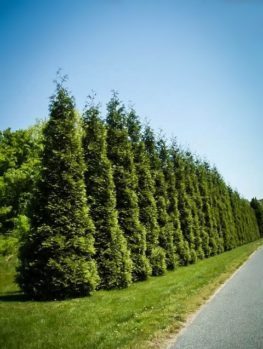 This makes it an excellent privacy screen, since fewer of them will have to be planted in order to create a privacy hedge. Some landscapers do choose to prune the Tri Color Willow to between 6 and 8 feet tall. Beware of false Willows! Some nurseries and self-proclaimed arborists will attempt to cut costs by replacing the Tri Color Willow with cheaper, low-quality varieties. These varieties, even given exquisite home care, will not demonstrate the rapid growth rate, seasonal coloring, and other qualities that make the Tri Color Willow valuable. The Tree Center employs qualified and highly trained staff who provide the tender love and care young Tri Color Willow saplings need in order to display the qualities for which they are revered. If you are planning on buying a Tri Color Willow, be sure to order your specimen from the trusted plant lovers at The Tree Center! Next to buying your tree from a reputable nursery like The Tree Center, the best way to ensure you receive the beauty and growth the Tri Color Willow offers is to take proper planting guidelines into consideration. Find a location in full sun or partial shade. The soil should be moist and well-draining; however, the Tri Color Willow easily adapts to less ideal soil conditions. Dig a hole twice the size of the Tri Color Willow’s root ball. The hole should be 1 inch less deep than the root ball’s height, since the tree will settle over time. Hold the tree vertically in the hole. Then, backfill the hole with soil and water. Mulch is a great tool to use with Willows, since they prefer moderate to heavy watering. If you choose to use mulch, add a 3-inch layer in a 3-foot radius around the base of the tree. Water immediately. The Tri Color Willow is rated to perform in USDA Hardiness Zones 5-9, covering much of the United States. Some homeowners choose to grow the plant in a container and bring it inside during extensive winter cold spells. The Tri Color Willow prefers well-drained, slightly acidic soil that remains moist; however, the tree adapts well to other soils. The beautiful Tri Color Willow is hardy and relatively adaptive; however, it does require moderate to heavy watering. 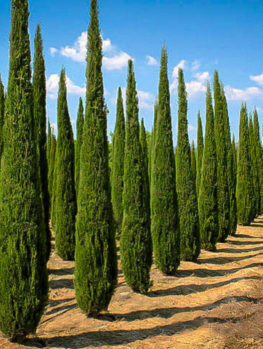 It can withstand short, mild dry spells, but should be watered once a week if rainfall is less than 1 inch. It is important to not overwater the Tri Color Willow. Simply create a regular watering schedule. This is especially important in the first season. Once established, the Tri Color Willow is much more able to manage short dry spells than other of its genus.